Sausage and onions have become an international scandal. 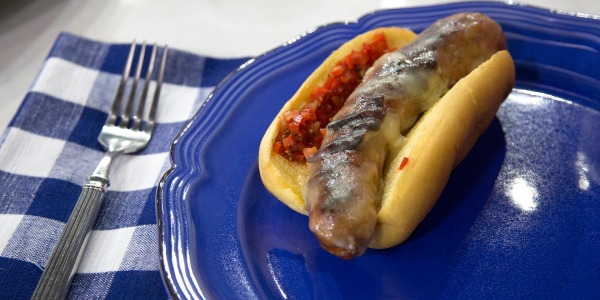 There's nothing quite like a spicy sausage topped with some mustard and grilled onions. But one hardware store chain in Australia is disrupting the savory splendor affiliated with this tasty dish, and has become the unwitting center of an international debate over the right way to top sausages served in buns. Bunnings Warehouse is known for its Sausage Sizzle, a frequent fundraising event that occurs at locations across Australia and New Zealand. They're so well known that even Will Ferrell has been spotted attending one in the past. Bunnings' Sizzles take place outside its stores so customers shopping for tools can enjoy some grilled meat. Sounds like a great way to shop ... if that snack is prepared correctly. Bunnings' traditional method, as described during the Australian morning show "Sunrise," usually includes a grilled sausage placed on "sausage bread" (don't even get America started on switching out the roll) with mustard and grilled onions on top of the meat. 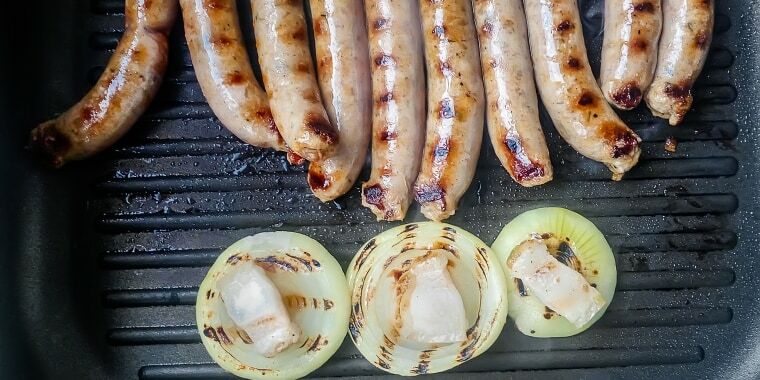 But, in a response to occupational health and safety concerns, Bunnings' management issued a new rule on Wednesday that will supposedly prevent the onions from falling off the sausage, which apparently creates a "slipping hazard." Since the announcement was made, a man called into Australia's ABC Sunshine Radio, claiming that he'd been compensated three years ago by the store after a painful accident: He slipped on grilled onions that fell from his Bunnings' sausage. "I used to be an amateur boxer and I learnt the punch is not going to kill you; it's hitting your head on the concrete that is going to. I went to another Bunnings a couple of weeks after and I had a panic attack," the man named Trevor, whose full name has not been revealed, said. He added, "Every time I go into Bunnings now I look on the floor — I look for onions." Despite the alleged safety hazard, the chain's serving switch has left many Australians and other social media users in a state of shock, outrage and downright savory sadness. One tweeter was just waiting for the "sausage police" to ruin the fun. I was thinking it was only a matter of time the sausage police would have a crackdown. Another used the opportunity to make puns at the expense of the warehouse chain. Has Bunnings turned into TOTAL TOOLS? And many are just ashamed of their homeland. Some, however, appeared to support the upheaval of tradition for its practicality. And one person even admitted to really preferring the onion underneath. But, perhaps the worst part about these Aussie sausages, is that one meat debate can only lead to another. Many people have argued in the past that putting any type of meat over select fillings in a taco is actually a more practical method of keeping toppings in place, too. And, of course, others disagree. Lol. I think they make the tacos incorrectly. It should be cheese meat cheese lettuce. Meat sogs out the bottom of the shell. I like the nacho cheese shells best. Flavor on point for what it is. Fast food. I make better at home. Cooked in mexican restaurant in college. Spoiled. Let's not even get the world started on whether a hot dog is really a sandwich.